A bright, blood-orange sun dipped below a fir- and ponderosa-mantled ridge in Montana’s Blackfoot River country. A tedious, yet picturesque afternoon-long wait had come down to this; fifteen minutes before last legal hunting light and still no deer had emerged from the thick timber to dine on a rancher’s fields. Just the day before, whitetails had tumbled forth from the tree line like so many clowns from a circus car, and they had done it hours before sunset. We—the Boss and I—just hadn’t been in the right position to capitalize on the ruminant convention. We had returned to the same ponderosa-studded glade which dominated the open fields, but this day the critters had gone shy and just two intrepid does munched with glee on an adjacent property as if they knew we couldn’t shoot them there. I could almost sense the others nearby. Perhaps The Force, or whatever, was with me, but I knew this would become a race to the final buzzer. “Deer,” the Boss whispered. I turned slow, and with tired eyes scoured the field and tree line to the south. As if on cue, they emerged. One…two…three--fat, healthy, grass- and alfalfa-fed Montana whitetail does. They hesitated beside a fence for a moment then strode into the open like they owned the place. Whitetail hunting books all say these critters follow the same trails day in and day out, but I've noticed most times they vary their paths each day by several hundred yards, or more. Yet, these three hadn’t read the book. They popped out within fifty yards from where they had appeared last evening which put them about 230 yards from us, and most important, on legal land. I scooped up the shooting sticks and we made a quick, smooth stalk forward to the last tree in the copse to cut the distance by twenty yards or so. I leveled the Savage 111 and centered the Nikon Prostaff scope’s reticle on the lead doe. Safety flicked off, I put finger to trigger. Boom! The .300 Winchester Magnum launched a 180-grain Nosler AccuBond bullet at the prey. “Miss.” The Boss confirmed with her binoculars what I had glimpsed through the scope as it snapped back from recoil. I yanked the rifle’s bolt and rammed a fresh round into the chamber. While I hadn’t had a precise idea where the shot had fallen, something in my mind said it had been close. The doe I shot at trotted off a few yards in surprise at all the fuss I had sent her way, another deer in tow. 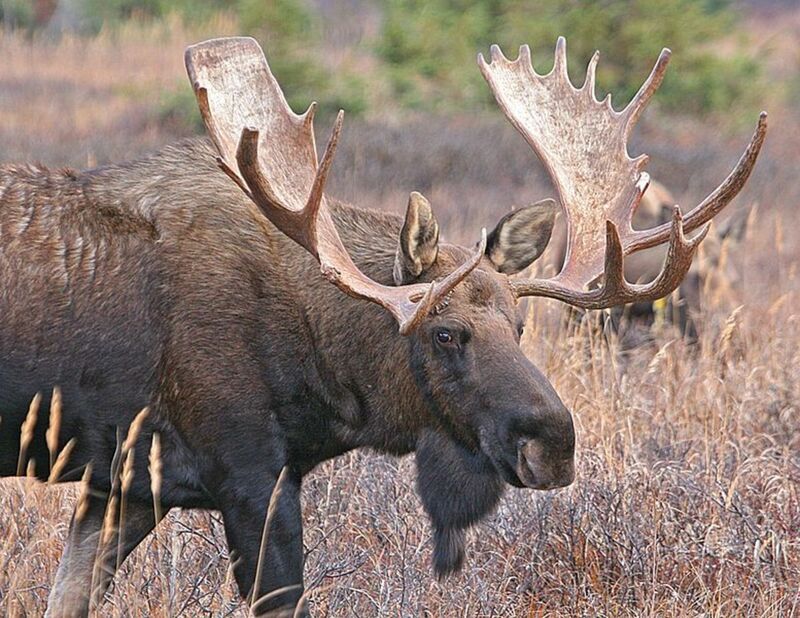 A shot now would drop them both—try explaining that to a game warden. Any drill instructor will tell you never become a lone, stationary target in the open, but the third doe hadn’t been through basic training. I shifted the rifle a few degrees right. Crunch time. I tossed my anger about the miss aside and got back to business. 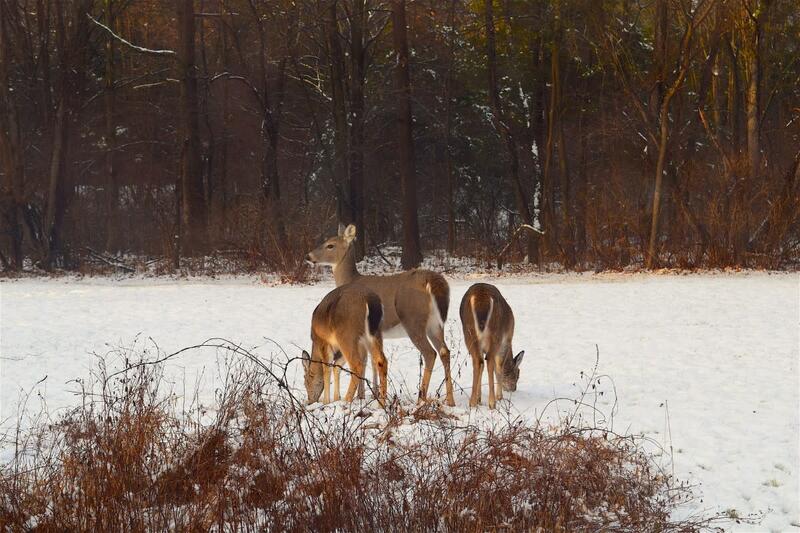 This time I picked a specific spot on the deer—the shoulder blade’s apex just below the withers. Breath, aim, squeeze. Another Accubond erupted downrange. The doe toppled as if a giant, unseen hammer had smacked her and she cashed it in. Hard to carry on with two shattered shoulders, a severed aorta, and goo for lungs. Each time I have ever delivered a solid hit with Nosler’s slippery AccuBond, the results have been just as described above. Performance so predictable, it borders on boring. Critters just don’t get far when they meet an Accubond. 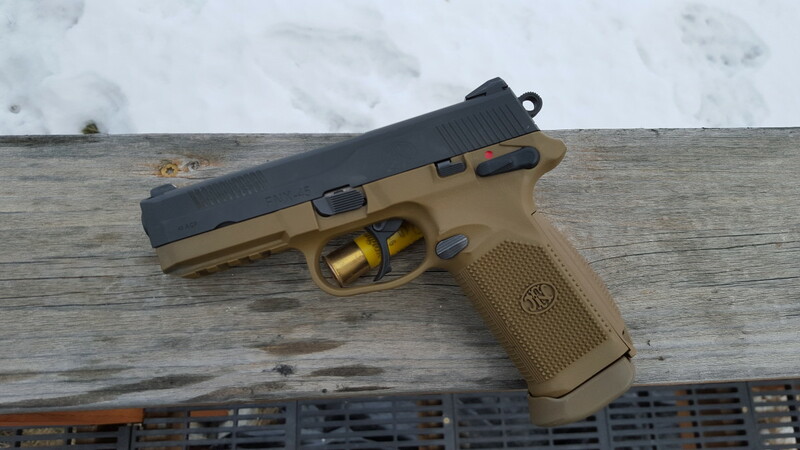 Understand I get no—I mean zero—support from any gun, ammo, or gear maker. I buy the products I test just like everyone else, off a store shelf. Nobody sends me advance review samples or invites me on all expense paid hunts and media events. I’ve hunted with Accubonds since their market debut in 2003, and seen many different bullets hit many different critters for almost three decades, which gives me a good perspective on what works and what doesn't. A hunting bullet has a difficult job. It must fly true, function without fail in magazine fed rifles, and impart unequivocal, lethal damage to game for quick, humane kills. They must expand with rapid violence when they hit, but not disintegrate if they strike bone or heavy muscle, and penetrate deep to reach vital organs in large animals. Bullet designers are in a constant battle to balance accuracy, toughness, energy transfer, and cost. Various bullet designs try to do all these things, but most can manage just a few. In the past, bullets gave unpredictable performance when they struck flesh. 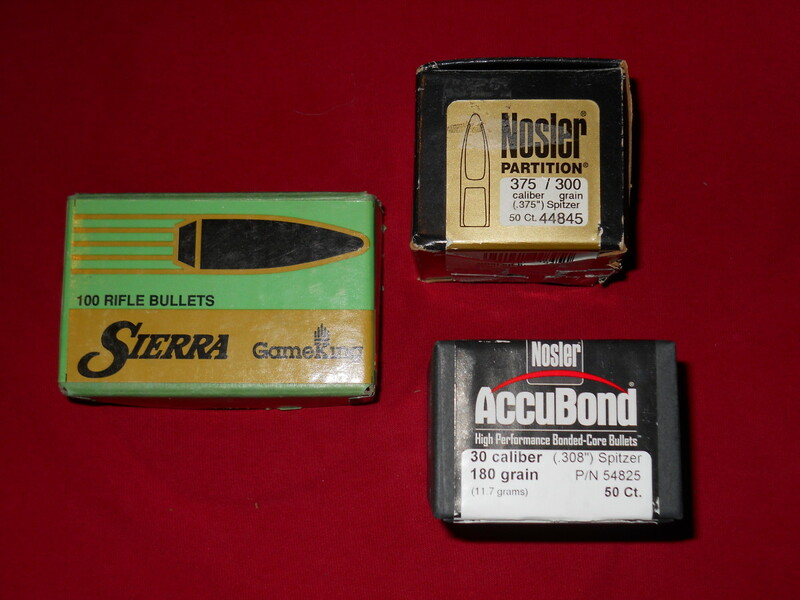 John Nosler developed the first controlled expansion bullet—the Partition—in 1948 after a conventional bullet failed to bring down a moose. The partition set the standard for all other hunting bullets since. Manufacturers tried various schemes to achieve what the Partition did either by direct imitation such as the Swift A-Frame, or crimping the bullet jacket to the core à la Horandy’s Interlock. The Accubond is a boat-tailed spitzer bullet with a polymer tip and a tangent ogive. While tangent ogives are not quite as aerodynamically efficient as secant ogives, bullets with the tangent style have two seating depth nodes to the secant’s one. This makes tangent ogive bullets easer to tune when hand loading because it allows for best accuracy when set forward against the rifling’s lands or when set farther back for magazine clearance. 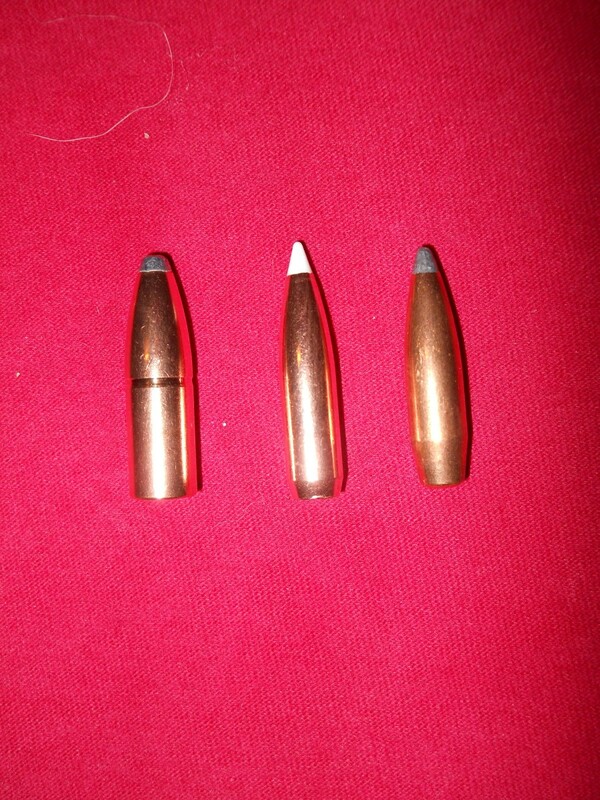 I have performed numerous tests on Accubond bullets over the years, and shot many game animals in the field with them. 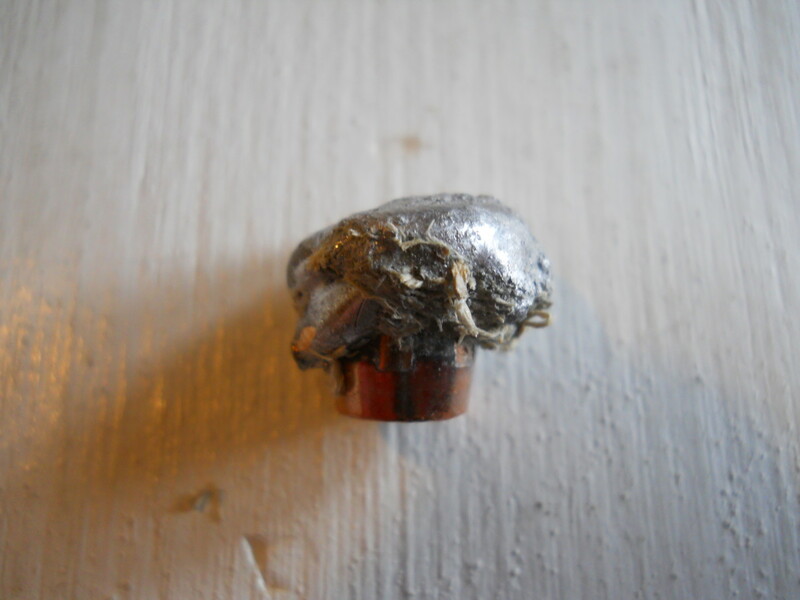 What I term the “Wood Test" reveals much about a bullet’s strength and penetration abilities. Since I often hunt large animals such as elk and bear with magnum rifles, a big concern is what a bullet does at those velocities when it hits at close range. If a bullet hits bone or heavy muscle, it must not disintegrate. It must hold together, expand well, and continue on, deep into the animal’s vital organs. To ensure the hunting bullets I use will survive this mayhem, I test fire them at 10 yards into several fresh cut, 6 to 8 inch diameter spruce or fir rounds stacked in a line. 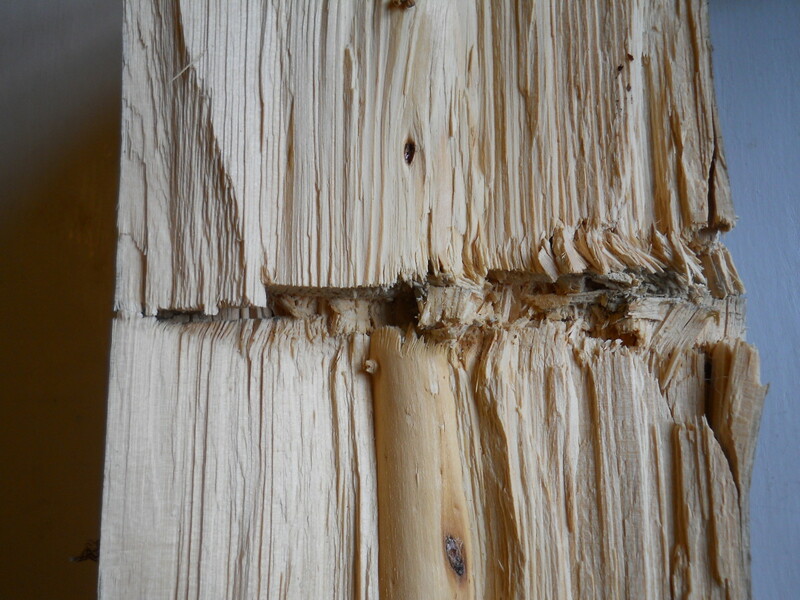 Green wood is, in many ways, similar to live bone. It flexes a bit, is somewhat pulpy, and absorbs energy well. To pass this test, a bullet must not break up or veer off its original path. It should also expand and retain at least 60 percent of its original weight. Every AccuBond I’ve ever tested in this manner has performed well. They mushroom, stay on path, and have 80 to 90 percent weight retention. In short, I have no doubts whatsoever they will get the job done on a big bull elk up close and personal in the timber. If AccuBonds have a downside, they are a bit too tough, perhaps. These slugs seem to like some resistance when they first hit, to initiate expansion. When used on light bodied critters, such as pronghorn and smaller whitetail deer, they don’t always transfer as much energy as I might like. 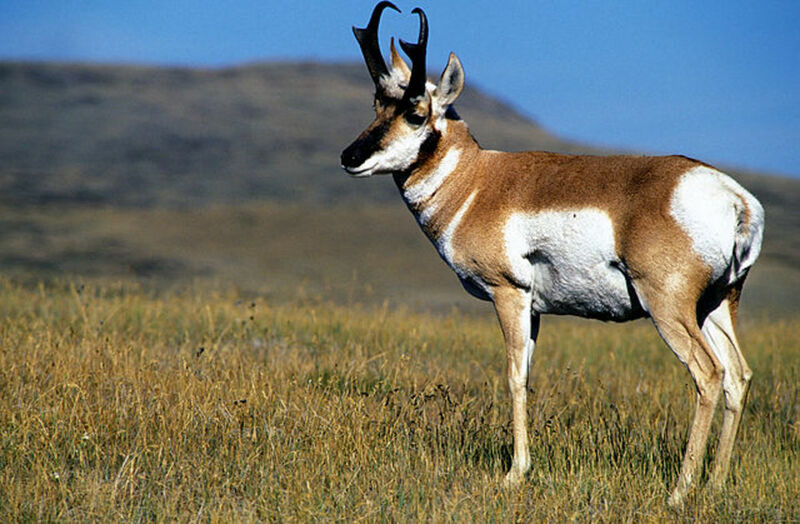 For example, my latest pronghorn—a mature doe—taken at about 150 to 180 yards with a 180 grain AccuBond in a .300 Winchester Magnum loaded to .300 H&H Magnum velocity (2860 fps) didn’t exhibit the normal trauma to the thoracic organs I’ve come to expect from this bullet. It hit and shattered the spine but didn’t create the usual lung puree I see with chest shots on large, Western whitetails and mule deer. The follow up shot on the same doe went end for end from the clavicle out through the off-side hip and smashed the femur on its way out. I expect with a more frangible bullet, such as Nosler’s Ballistic Tip or Hornady’s SST, expansion would have begun much sooner after initial contact. 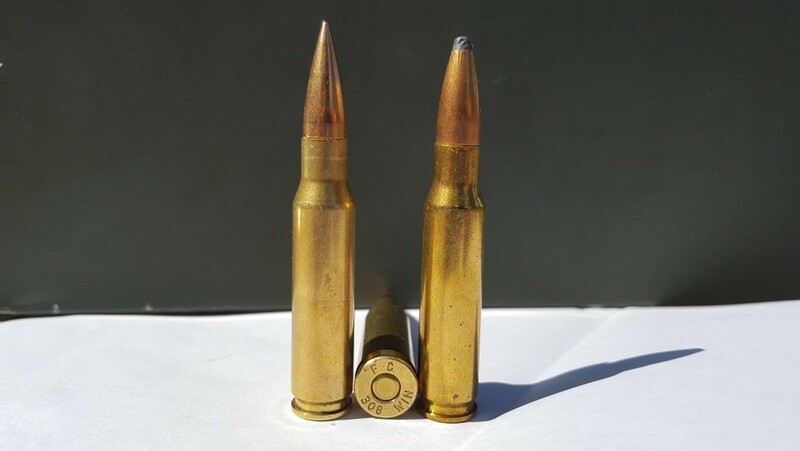 The bullet’s toughness could also cause limited expansion and energy transfer at ranges beyond 500 yards or velocity much lower than 2000 fps. Nosler claims the Accubond has reliable expansion down to 1800 fps, but I like to pad such claims to allow for the unexpected. Nosler’s solution to the lower impact velocities encountered at extended ranges is the AccuBond Long Range (ABLR) bullet introduced a few years ago. I haven’t used them yet, but given the regular AccuBond’s consistent, good performance, they should perform much as Nosler claims. AccuBonds don’t make over-large exit wounds, in my experience. 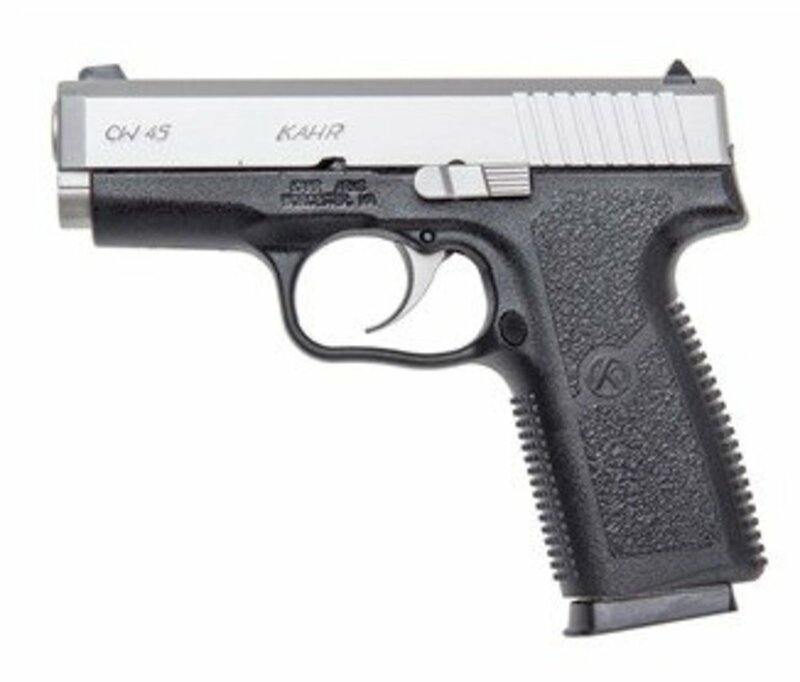 Most times, even on larger creatures, the .30 caliber ones leave a consistent, index-finger- to thumb-sized hole. This could cause issues with a less than decisive hit in thick cover and a delayed and/or lower-volume blood trail. If there’s snow on the ground, the problem is less worrisome. This concern is minimal, though, given how well AccuBonds break bone. Any animal hit in the major leg bones, or shoulder joint, won’t get far, even if unconsciousness is delayed a few minutes. The .375 caliber Accubonds I’ve used also follow this trend, albeit their exits are proportionally bigger. My guess is Nosler chose to trade a little expansion for deeper penetration—fair enough. I’d rather have too much penetration than not enough, in particular for quartering shots on elk and any shot on a bear. Truth is, I have yet to recover an Accubond from an animal. Every shot, no matter the angle or range, has passed through. AccuBonds, like their name implies, are more than accurate enough for hunting. 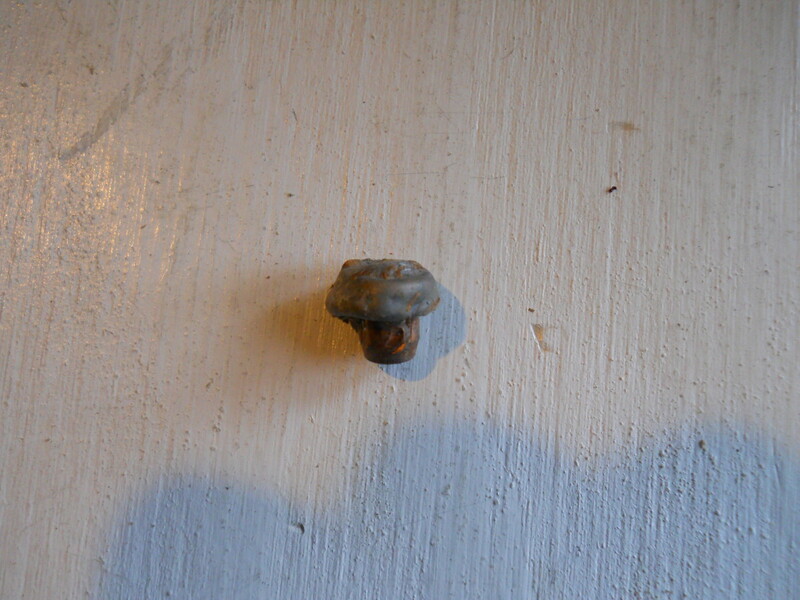 It’s not a match bullet, and it doesn’t pretend it is, either. Most factory loads I've used with this bullet shoot between 1.0 and 2.0 MOA—more than anyone needs at sensible ranges. I’ve also developed several sub-MOA loads in different calibers. It is forgiving to load and not over-dependent on cartridge length for good results. 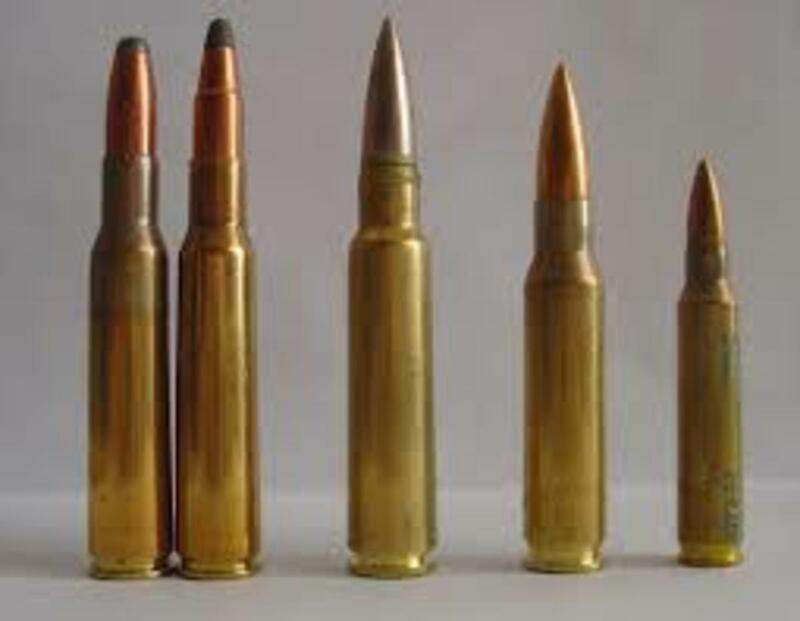 AccuBonds, like their close relative the Ballistic Tip, have excellent ballistic coefficients. 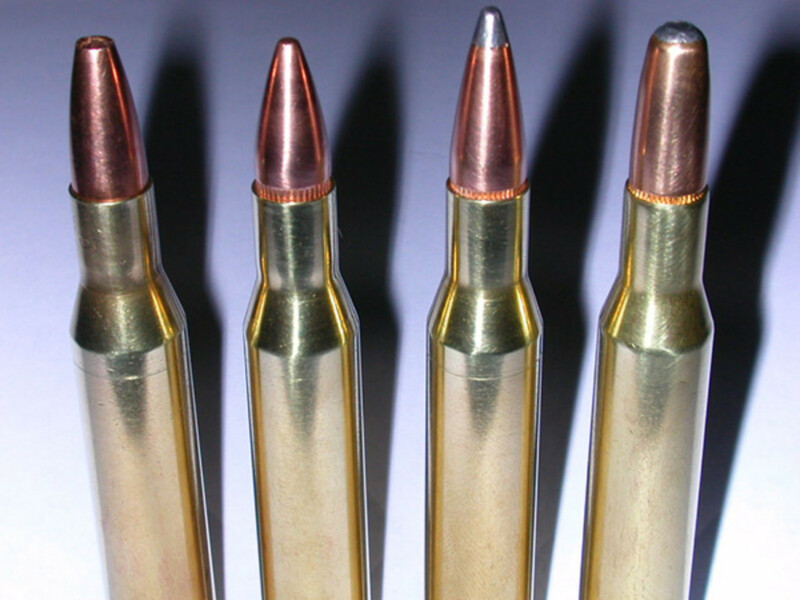 The 180 grain, .308 caliber AccuBond, for example boasts a .507 G1 BC. 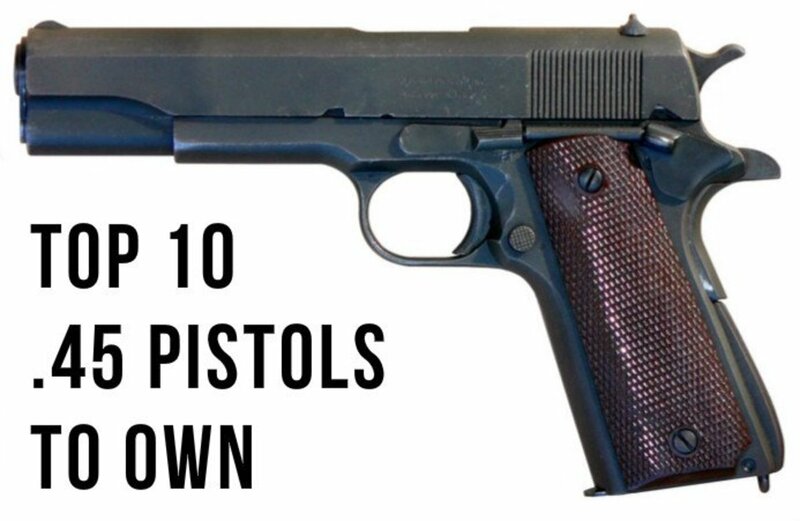 They are plenty slippery for most purposes, and have a distinct advantage over their older brother, the Partition, when it comes to shots beyond 300 yards, or so, because they retain more velocity down range. 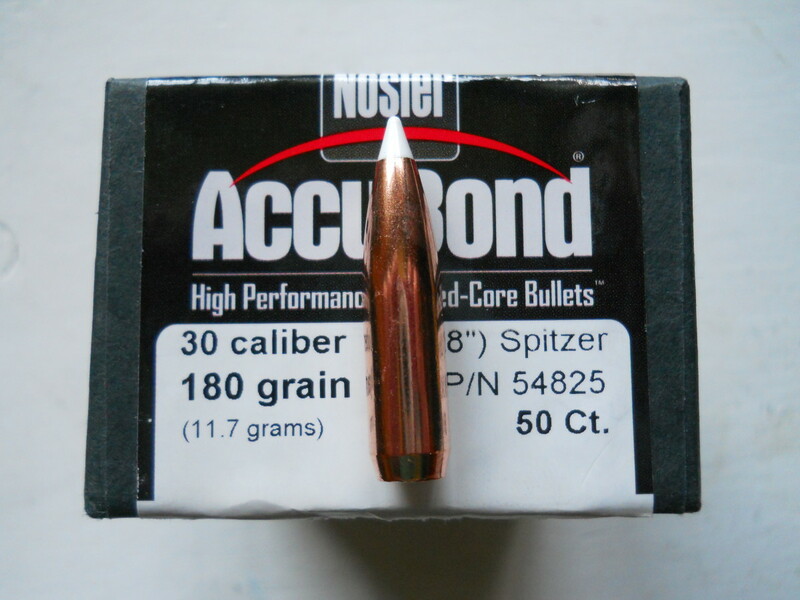 Nosler’s Accubond: there are some bullets which do certain things better, but few which have its versatility. It is accurate enough, hits hard, and is consistent. It is a great choice for mixed-bags hunts or when ranges could vary. It is tough enough for dangerous game, yet expands even on lighter-bodied animals. 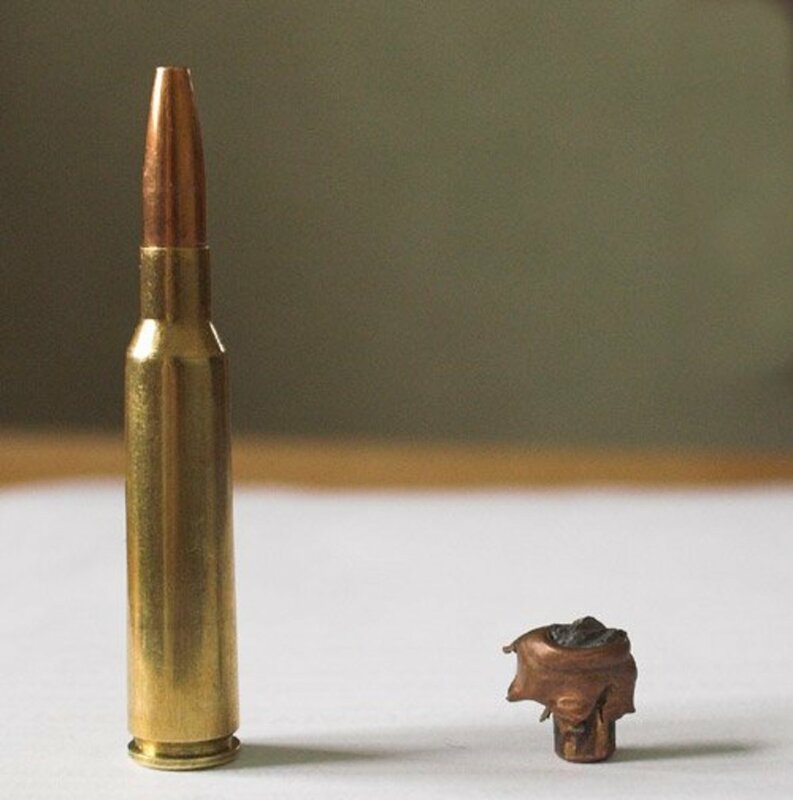 It has its limits, like all things, but for most hunters, under most circumstances, it is perhaps the best one-size-fits-all hunting bullet out there at the moment. I enjoyed reading this. Good information and excellent photography. I will enjoy exploring other articles you've written!